Longwood University is a four-year public liberal arts university located in Farmville, Virginia, United States. Founded in 1839 as Farmville Female Seminary Association, it is the third-oldest public university in Virginia and one of the hundred oldest institutions of higher education in the United States. Longwood became a university on July 1, 2002. Longwood’s 5,000 students (4,500 undergraduate, 500 graduate) are served by three undergraduate academic colleges - the Cook-Cole College of Arts and Sciences, the College of Business and Economics, and the College of Education and Human Services - and supported by the Cormier Honors College and the College of Graduate and Professional Studies. 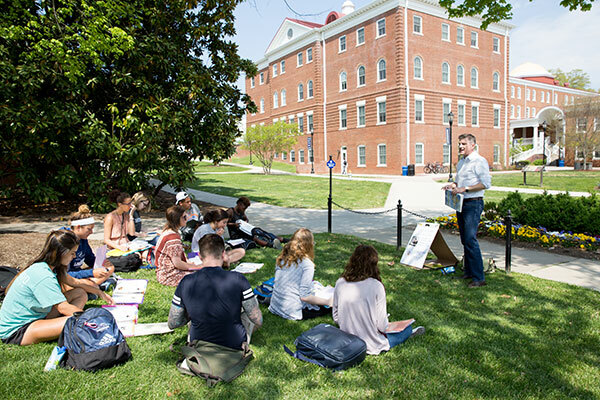 Learn more about Longwood University.